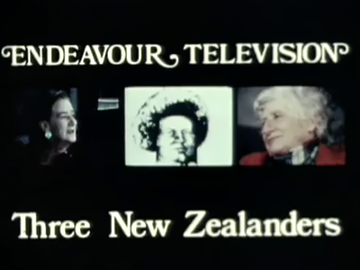 This three-part documentary series was made to mark International Women's Year in 1975; it provides rare and precious interview footage with three of New Zealand's most celebrated writers; Sylvia-Ashton Warner, Janet Frame and Dame Ngaio Marsh; who each reflect on their life and philosophy. In the case of Ashton-Warner and Marsh, these documentaries were filmed in the last decade of their lives. Three New Zealanders was produced by John Barnett for Endeavour Films. The Candle Wasters won a global audience with three Shakespeare-inspired web series featuring modern-day Wellington youth. 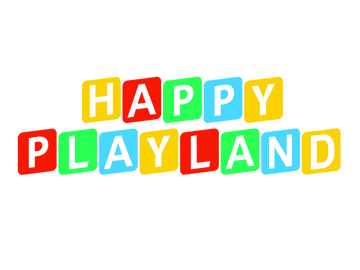 Then they created this original queer rom-com musical about the workers at a children's playground. 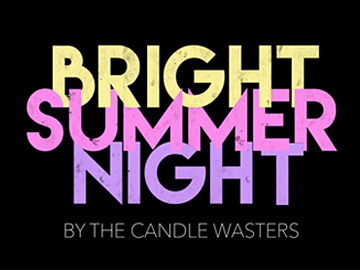 The creative team (Sally and Elsie Bollinger, Minnie Grace, Claris Jacobs) continued the collaboration with Robbie Nicol that had begun on previous web series Bright Summer Night. Funded by NZ On Air’s Skip Ahead initiative, 10 episodes were shot in mid 2017, and then uploaded to YouTube. The team won SPADA’s New Filmmakers Award later that year. 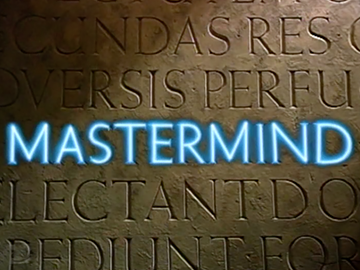 Mastermind was big brother to W3 and University Challenge in the pantheon of TVNZ's 80s quiz shows. The format (based on its creator's experience of being interrogated by the Gestapo) was licensed from the BBC and an ice cold Peter Sinclair asked the questions (with none of the bonhomie he allowed himself on University Challenge). Contestants faced two minute rounds on general knowledge and an array of sometimes mind-boggling specialist subjects ranging from Shakespeare, opera and gastronomy, to Winnie the Pooh, tantric yoga and sulphuric acid production. Over two years, The Candle Wasters – a troupe of young Wellingtonians – attracted 4.5 million YouTube views to their modernised vlog reimaginings of Shakespeare’s plays (Much Ado About Nothing, Love's Labour Lost). In 2015 they won NZ On Air and Kickstarter funding to create a web drama series loosely inspired by A Midsummer Night’s Dream – set at a teen house party. Each of the 10 episodes focussed on a different character. Produced with Bevin Linkhorn, Bright Summer Night was uploaded in August 2016. It won Best Drama at the 2017 Hollyweb Festival in the United States.